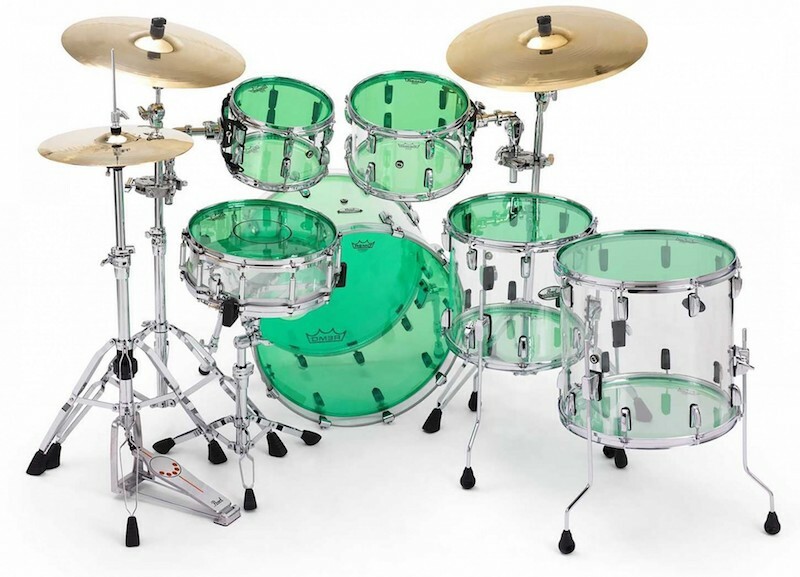 At a time when you can get custom drum finishes and colours, coloured sticks, coloured cymbals and customisable hardware, it seems no surprise that we should now have the choice of coloured heads as well. 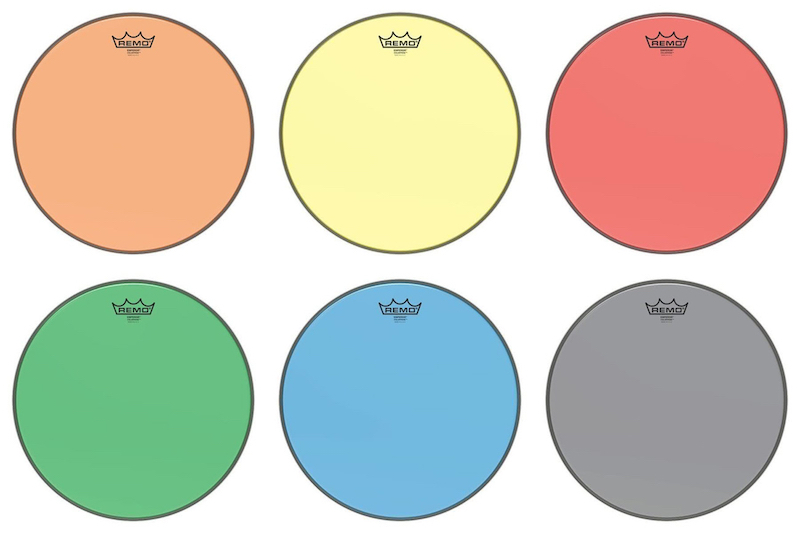 Remo’s new Colortone drumheads feature the company’s Skyndeep® Imaging Technology which has been applied to three of its existing lines; Emperor, Powerstroke 77, and Powerstroke P3. Choices are available in combined sizes of 8” through to 26” in orange, yellow, red, green, blue and smoke colours. We were given some red Emperor heads (for the toms), a red Powerstroke 3 (kick) and a blue Powerstroke 77 (snare) to try. These three models shouldn’t really need much introduction if you’re a Remo fan already, as they’re well established. But, just to recap anyway for those who don’t know, the Colortone Emperor line is a double ply head constructed with 2-plies of 7-mil film (8 to 18”), the Powerstroke 3 line (14” only) is constructed with a single-ply 10-mil film combined with a 10-mil underlay dampening ring and the Powerstroke 77 line also has 2-plies of 7-mil clear films but with a 7-mil inlay ring and 5-mil dot. 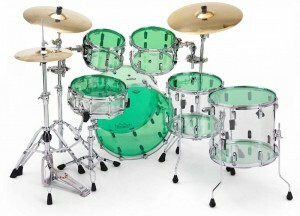 The PS3 Colortone is available in bass drum batter and resonant sizes, 18” thru 26”, with or without a 5” mic hole. These new heads have all the same qualities as their regular counterparts, which is what you’d expect. 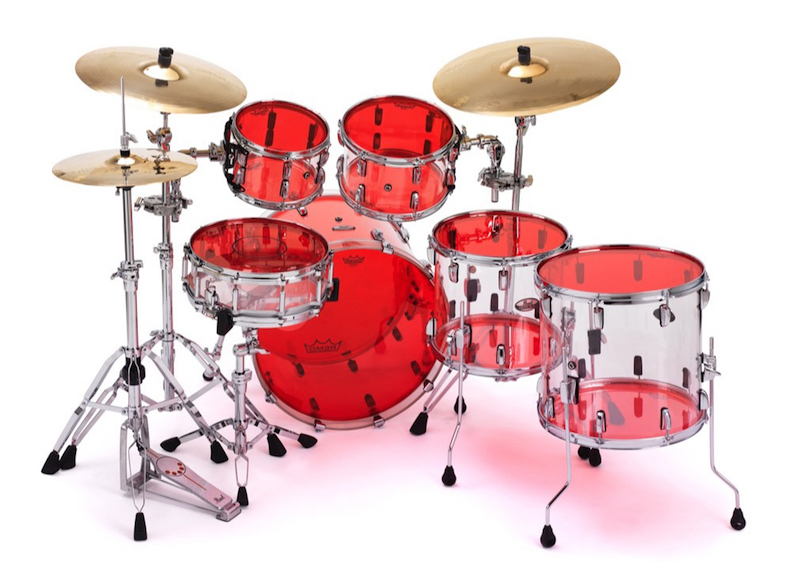 Realistically, there is only one reason you’ll be buying these heads over the standard versions, but having tried them on my red acrylic kit, they really do look very cool. There’s no sonic difference between the regular versions and the Colortones, and they are just as easy to tune as well. As a regular user of the Emperor and Powerstroke 3 lines, I really like these heads. They’re consistent with the historic versions but the colour makes them a bit more fun. Only downside is that they seem to be a little more expensive than the coated and clear versions from what I can see, but then again, why stick to plain old white or clear when you could go orange? Check out https://remo.com/experience/post/colortone-drumheads/ for more.